The All-American Outfit Giveaway | Valet. 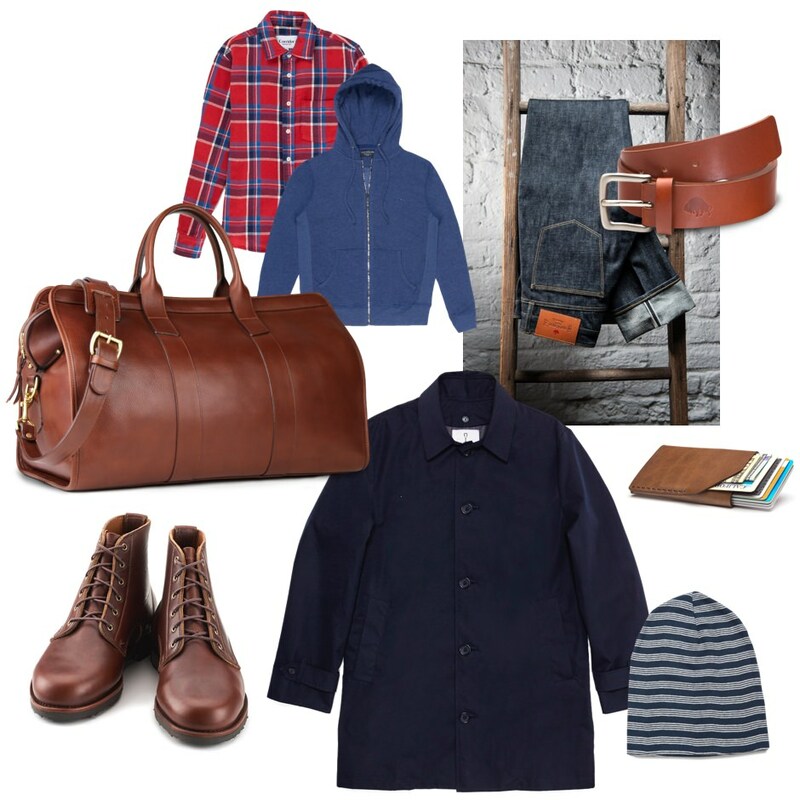 Enter to win over $3,000 worth of quality-made clothes from some standout US-made brands. A weather-resistant ventile cloth trench coat, woven from American grown and spun extra long staple Supima cotton, plus a lightweight beanie for transitional weather by American Trench. Zip hoodie made from plush sherpa fleece by Goodlife. Slim Kojima jeans, handmade in small batches in a Richmond Virginia workshop by Shockoe Atelier. Chromexcel Blake boots with comfortable crepe soles, full leather lining, antique brass eyelets, and waxed cotton laces. Handcrafted in Maine by Rancourt & Co.
A strong and durable No. 1 belt, made with an English bridle leather tanned by Hermann Oak of St. Louis, Missouri, plus a sleek No.2 card case by Ezra Arthur. Contest ends on Sunday, November 5, 2017 at 11:59 pm EST. No purchase necessary. Winner eligible in USA or international. By entering this contest, you agree to receive emails from Valet., American Trench, Corridor, Goodlife, Shockoe, Rancourt & Co, Frank Clegg and Ezra Arthur. You may unsubscribe at anytime. Terms & Conditions.